Are you avoiding the three common mistakes in discipling men? Are you modeling the two essential qualities in a leader’s life? Are you providing welcoming environments for your welcoming events? Are you focused on men leading the way? Check out our podcast for personal interviews, current trends, and case studies. Check out a list of commonly requested topics Coach K can discuss at your event. Contact Coach K to book him for a speaking engagement. 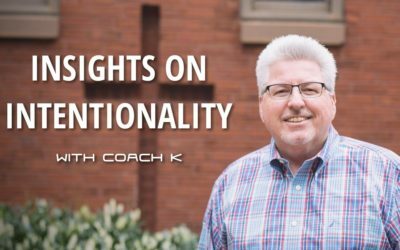 Jeff Kisiah / “Coach K” approaches life and ministry from a coaching perspective, having participated with 4 high school state championship teams. Since 1985, he has been a men’s pastor, serving on 3 church staffs. He has spoken at men’s conferences in 42 states and 7 foreign countries, including No Regrets, Lifeway Men’s Events, and Iron Sharpens Iron. He also served as the National Field Director for Man in the Mirror, consulting with 800+ churches sharing his vast experience and ministry expertise. We are looking for ministry partners. Will you prayerfully consider joining our Team? 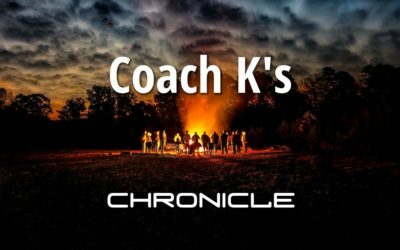 Join our mailing list to receive Coach K&apos;s monthly message.